Have you misplaced or broken your office or home keys? Looking for a key cutting services? While everyone would want to keep track of important things such as your home keys, various areas of life tend to command your attention at different times; thus making it unachievable goal. At Great Lakes Security Hardware we offer commercial and residential locksmith services for all you home and business needs. That is why cases of lost home or car keys in Roseville, Southeast Michigan are common. Luckily, Great Lakes Security Hardware, being one of the top commercial and residential locksmith service provider, is always ready to help you out of your unfortunate situation. We all know that security is one of the most crucial considerations for any business or homeowner. So, it is essential not to leave anything to chance when making any decisions that affect the security of your business or home. One of the most crucial security decisions you can make is choosing reliable commercial and residential locksmith services, Macomb County MI. A highly reputable locksmith company can assess all the security requirements of your property, recommend a well-informed, custom solution, and install it correctly, guaranteeing the safety of your property – but a low-quality or unqualified locksmith can put your home or business in jeopardy. If you are in need of locksmith services, how can you ensure that you are getting high-quality service from a professional locksmith company at a fair cost? We want to help you choose a top-notch locksmith service for your home and business needs. 1. Service -In the long run, your preferred locksmith company is responsible for the security of your business or home -so you should always go for a company you trust. You want your locksmith company to offer excellent service, leaving you feeling comfortable and safe at all times. After all, this is not just a business transaction – it is a crucial partnership for your security, and you deserve a partner you can always depend on. 2. Availability -Expert installation and a good product are both paramount, but what if your security works a bit too well? A lockout situation is a frustrating issue, and you need a locksmith service provider that is there for you when you need them the most. If possible, you should always select a locksmith who is available 24/7, so you can always seek assistance in an emergency lockout situation. 3. Certification -A locksmith service provider is responsible for the devices and systems which keep your home or business safe from the intruders, so it is important to ensure that they are qualified and certified for the job. For that reason, you should always choose a professionally certified locksmith company. The certification confirms that the locksmith knows what they are doing; thus, giving you peace of mind that your property is secure. 4. Locksmith Service Charges and Liabilities -When selecting a locksmith, ensure to ask if they’re insured. A locksmith company which carries the necessary liability insurance helps protect your business, and/or home from any accidental damages related to the work performed and guarantees that the locksmith company will pay for any accidental damages incurred due to their services. Also, it is imperative when selecting a locksmith company to request an upfront estimate of the fees you will be responsible for when they complete the service. 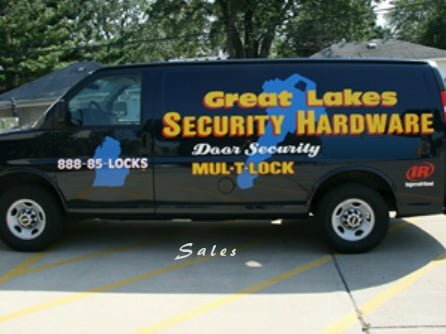 A professional locksmith company such as Great Lakes Security Hardware, will be clear about every charge and provide you a written estimate before they offer any services.